If you are in the market for building your own barn, then you most likely came across a number of options. In most cases there are two options: Stick-built framing or pole frames. Even though stick frame construction is common and what most people are used to, there are a number of advantages for using pole or post-frame construction when building a barn. Step into this article to explore the benefits of building your own pole barn. First, pole barns are more cost effective and than steel frame barns. While steel frame barns offer a number of benefits, cost is not one of them as they require a restrictive and labor intensive process just to get set up. Steel frame barns require a continuous foundation, which means a lot of money will be put into excavation and labor. Pole barns are inexpensive because they only require only deep postholes to secure their load-bearing vertical beams while still providing superior structural stability. Another great benefit of pole barns is that they can better withstand the wind and other environmental forces. Because the poles of the barn are embedded into the grounds versus the walls of a steel frame, the structure of barn is stronger and can withstand the elements. Pole barns are simple and significantly easier to build than using any sort of stick frame constructions. I’m not just referring to the excavation it takes to build the walls of the stick frames. Unlike pole barns, steel frame barns require multiple hands, extensive tools, and more knowledge than the average person needs if done correctly. With proper instructions and simple tools, a pole barn can be built without paying for labor or renting extra equipment. Pole barns are versatile and come in a variety of options. Many come in kits, which can be bought and easily assembled. The hardest part just might be digging the holes to place the poles in. Pole barns can also have additional attachments to give it steel-frame features without the extra costs and labor. Depending on the goals of your project you can build just about anything using a pole barn kit. It doesn’t necessarily have to be a full barn. It could be anything from an open-air hangar to store your tools and car and to a year-round home if built correctly. Pole barns are hands down the fastest and most economical way to build. It offers less risk, sustainability, affordability, simplicity, and versatility to building the covered space you need. Don’t waste your time and money trying to build a barn using a stick-built frame. 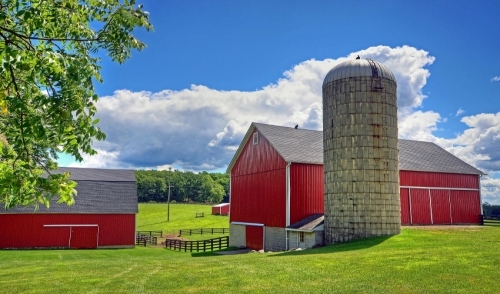 Pole barns offer long-term advantages and benefits to building what you need.